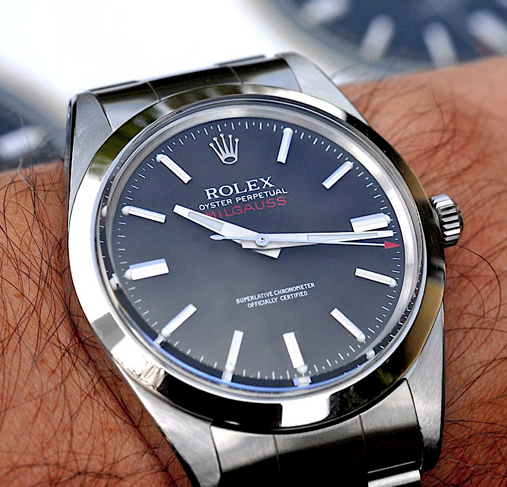 I think I am going to start a Rolex of the Day where I just show a beautiful Rolex with a brief description every day. This first watch is a classic Milgauss. This is NOT a new 40mm version. This is a vintage old school 36mm looking awfully good.